“Steggie” greets visitors to the Institute of Science. As you might be able to tell from previous posts, my husband and I are supporters of arts and culture in communities. We enjoy visiting museums, gardens, and anything historic. So we were happy to have a recent plan-free Friday evening to visit Cranbrook Institute of Science (CIS) in Bloomfield Hills. Even happier that admission to CIS is free on the first Friday of the month from 5-10pm (planetarium programs are additional). As we pulled onto Cranbrook Educational Community’s 319-acre campus, I couldn’t help but share some memories with my husband of Maple Syrup Festival, my lunch time walks along the trails, funny media calls and other moments in my work history. We scored a parking spot in the circle lot in front of the Institute, although there is ample parking in the structure a short walk away. It seems we weren’t the only ones interested in taking advantage of the free admission. It was much more crowded than I anticipated. We ran into a former colleague who said already 500 people had been through the doors since 5pm (and it was only 6:45pm!). I was pleased to see so many couples and families exploring the Institute together. After checking in at the front desk, we headed for the Bat Zone, located behind the Institute, where more than 150 bats, a sloth, owls, and other nocturnal animals live. The Bat Zone is the permanent exhibit for the Organization for Bat Conservation (OBC), a nonprofit environmental organization dedicated to protecting bats. OBC staff host tours at the Bat Zone and give more than 1,000 live animal educational presentations throughout the country at libraries, schools, community organization, nature centers and elsewhere. OBC and CIS first partnered with each other when I was working at Cranbrook. I admit I didn’t have a great impression of bats but after working closely with OBC’s founders and staffs, and getting a very up close, hands-on education about bats and other nocturnal animals, I changed my mind. These animals are very important to ecosystems and most of the myths you hear are false. OBC hosts an annual free Great Lakes Bat Festival in the fall which is a great opportunity to see live bats, learn a ton about these mammals and get a better understanding of why they’re important to the world. 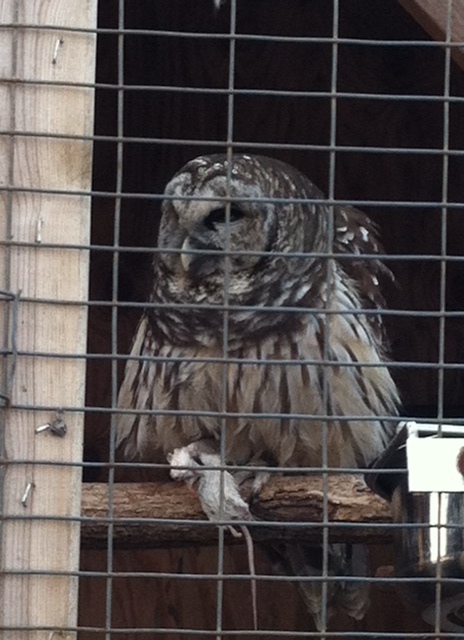 After touring the Bat Zone, we walked outside to the enclosures for some owls. All of the animals at the Bat Zone are injured and rehabilitated, rescued or born and raised in captivity. None are able to be released into the wild. As I was watching one owl, Justin chuckled as he nodded toward a second owl. At first glance, I thought how pretty she was. Then I noticed the small, dead mouse on her talon. As Justin said, “Owls eat too.” But I was content leaving her to eat without an audience. Heading back into the Institute, we walked through the Mineral Gallery and Every Rock Has a Story, where we marveled at the various gems and cool copper pieces. The Motion Gallery captivated us for a bit while we watched several balls rolling through a kinetic machine. Several small children were also fascinated with this and ran around tracing one ball’s path. The Story of Us is one of my favorite permanent exhibits. Some of the Institute’s coolest anthropology artifacts are on display. This exhibit weaves new technology with items of the past as a virtual holographic-like woman and child tell stories and visitors can use touch-screens to learn more about objects. Mastodons Did Not Survive is another interesting exhibit, with a life-size mastodon replica as the centerpiece. Did you know the mastodon is Michigan state fossil? 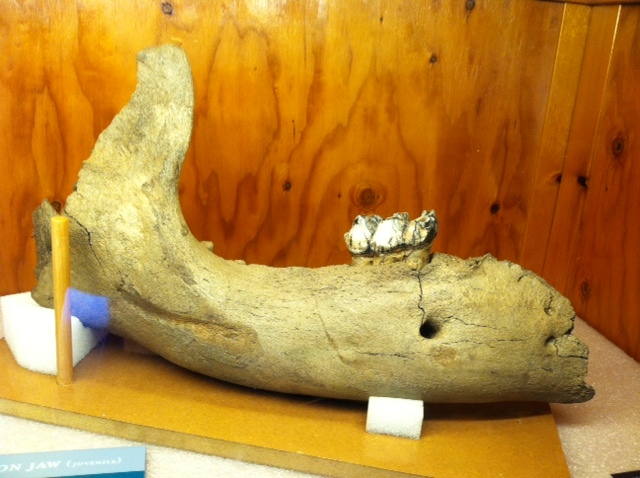 Visitors can read about several mastodon fossils found in southeast Michigan and see these huge bones. and massive waves. Twelve ships were lost, killing more than 250 people in two days. 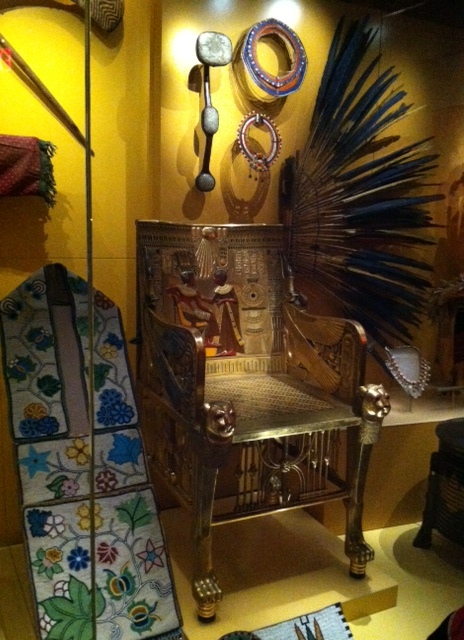 Visitors can see artifacts from ships. Another fun feature is a replica glass bottom boat where you can see real video footage of the shipwrecks under the water. Throughout the exhibit’s run, a cannon is being restored. Discovered by a Detroit Police dive team in the Detroit River in 2011, the cannon is believed to have been dumped by the British when they retreated in 1796. 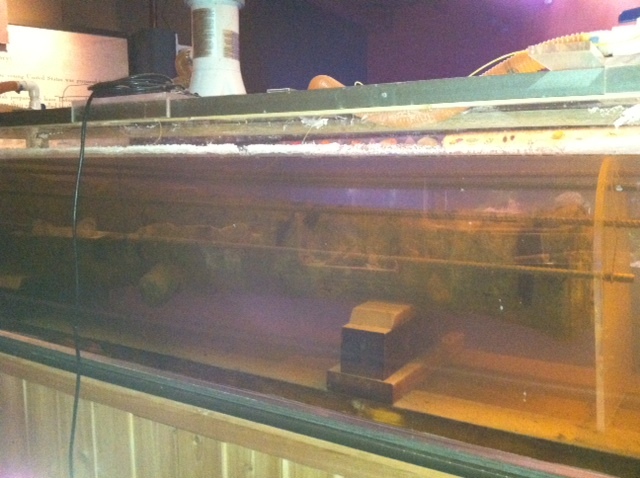 The cannon is submerged in a clear tank where electrolysis is slowly removing two centuries worth of grime. Signage around the cannon explain the science behind that process. History and science converge again. So cool. Last year, Cranbrook’s observatory underwent extensive renovations and technology upgrades. Three new telescopes and a dome provide excellent viewing opportunities of the stars and planets. A solar telescope offers views of the sun. During daylight savings time, the observatory is open 8:30-10pm on Fridays and Saturdays (weather permitting). I also definitely recommend viewing a planetarium show if you have time. CIS has a very talented staff to create both educational and entertaining planetarium shows. The comfortable seats make watching the night sky come alive on the planetarium’s dome very interesting and fun. If you haven’t been to Cranbrook Institute of Science in a while, you need to visit again. If you’ve never gone (gasp), make a point to explore the great exhibits on science and natural history. I have discovered there is something for everyone. It’s family-friendly, although like with most activities, children will learn more and probably enjoy it more with parent interaction (which I was happy to see quite a bit of during our visit). CIS offers free admission on the first Friday of the month through June 2013. The EXTREME DEEP exhibit is at CIS through May 26, 2013. 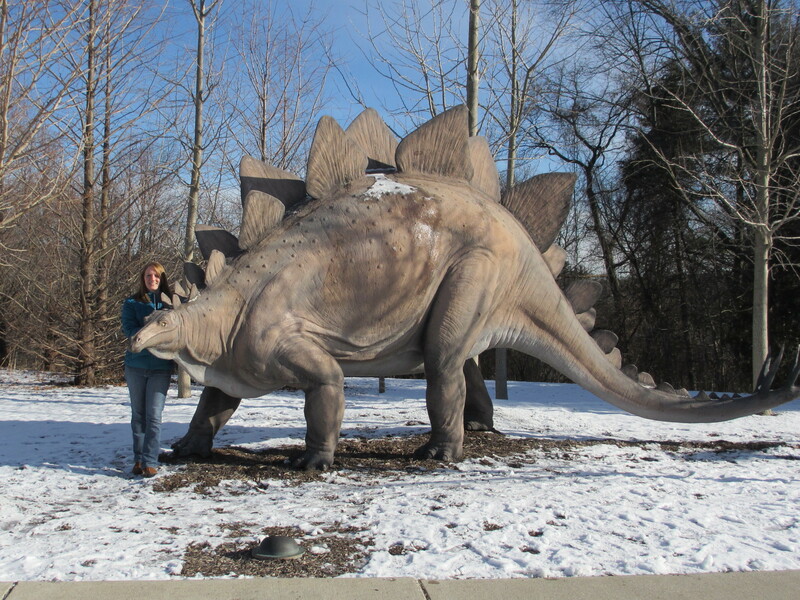 Stay tuned….dinosaurs are heading to Cranbrook this summer.